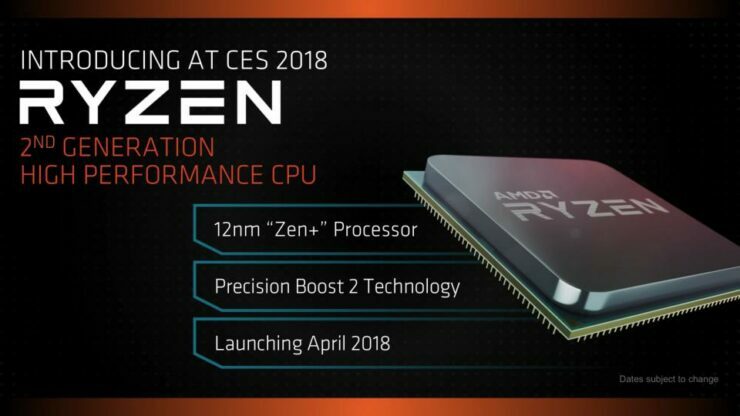 With AMD’s second generation Ryzen launch closing in, another CPU which is part of the upcoming family has leaked out. This time, we are looking at the Ryzen 7 2700X which is an 8 core, 16 thread CPU and was spotted by the guys over at Computerbase. Leaked within Futuremark’s 3DMark database, the Ryzen 7 2700X shows up as an 8 core and 16 thread chip. The processor comes with 16 MB of L3 cache and 4 MB of L2 cache which rounds up to 20 MB in total. The TDP of the chip is maintained at 95W since this is an ‘X’ part featuring higher XFR ranges. 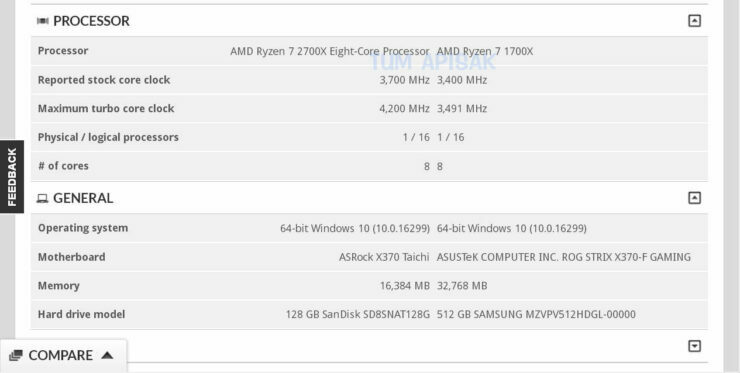 The processor looks similar to the Ryzen 7 1700X but the clocks are where the similarities diminish. 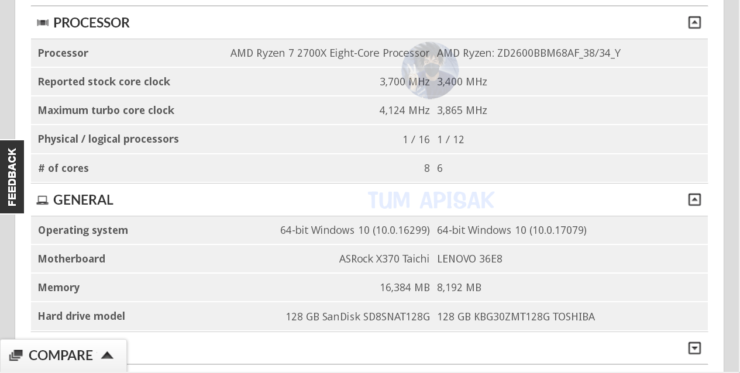 In terms of clock speeds, the Ryzen 7 2700X operates at a 300 MHz faster base clock compared to its predecessor at 3.7 GHz and knowing from the Ryzen 5 2600 leak which had a 200 MHz of clock speeds difference between its predecessor in both base and boost clocks, the boost clock for the Ryzen 7 2700X may also operate 300 MHz faster at 4.1 GHz. But there’s also the XFR 2.0 support which should also allow a degree of boost over the boost frequency itself. It looks like the CPU will hit up to 4.2 GHz with XFR 2.0, a decent increase over the 3.9 GHz of the Ryzen 7 1700X. Aside from the clocks and basic specifications, the Pinnacle Ridge 2nd Generation Ryzen based processors will come with a slightly enhanced Zen+ architecture which will feature the new 12nm+ process node and technologies such as Precision Boost 2.0, XFR 2.0, higher memory and cache latency speeds. Do look forward to more details on Ryzen 2 based on Zen+ core architecture in the coming month. 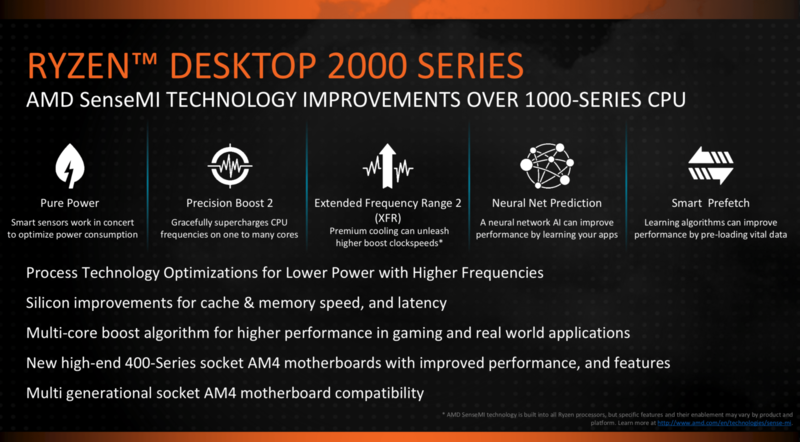 The Ryzen 2 family will feature a full range of processors which will include Ryzen 3, Ryzen 5, Ryzen 7 series and also the upgraded X470 motherboards.